Situated right next to Blackpool Airport, this business centre is ideally located and offers a stylish reception, ample parking and excellent amenities, including a state-of-the-art conferencing infrastructure in boardrooms, as well as natural light and a disabled-friendly design. This business space is suitable for a range of business types. There is a retail park nearby, offering a range of shopping outlets. 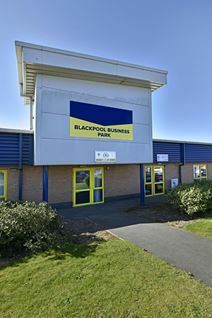 With a mixture of furnished or unfurnished offices, studio space and workshop space, this business centre is IT and telecoms ready and is located in the Blackpool business park in a prime location opposite Blackpool Airport, with great sea views. Composed of nearly 8,000sqft of space, this Blackpool-based centre offers both open plan and private, cellular offices. Split over two stores, the centre also hs two self contained entrances. Amenities include kitchen facilities, shower facilities, changing facilities, heating, air conditioning and CCTV. The centre is located close to Blackpool Airport, and is around a ten minute drive to both Blackpool town centre and to Lytham St Annes. There are six fantastic office suites available at this location, ranging in size from 561 Sq Ft to 3,417 Sq Ft. They have recently been renovated and modernised to suit the needs of a modern business. The building offers ample free on-site car parking and there is a secured gate at the entrance of the estate. The well established industrial area has good connections to motorway networks, providing direct access to Preston, Manchester and Liverpool. Made up of 29 small office units of 112 to 475 sq. ft., and 65 warehouse units, 16 of which are modern steel portal frame structure with brick and metal clad elevations, this centre is located in the heart of Blackpool, with fantastic seafront views. 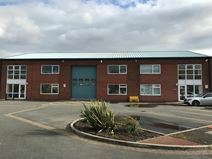 Set a renowned and fast-growing business park less than 0.5 miles from the M55, this modern buiding is offering furnished office space on flexible terms. Spaces are available for from 2 to 70 persons.